8 paper plates in 3 cute cat faces. 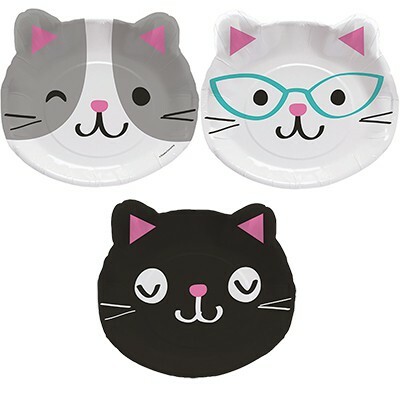 Our Purr-fect Party Cat Shaped Dinner Plates are super cute! Each pack contains 3 adorable cat faces. Be sure to check out the coordinating options in the Purr-fect Party collection for more cat party fun.